Today, we remain perplexed about the phenomenon on display last night, and in most ACC basketball games, where officials swallow their whistles late in the game and let the players sort it out on the field/court. 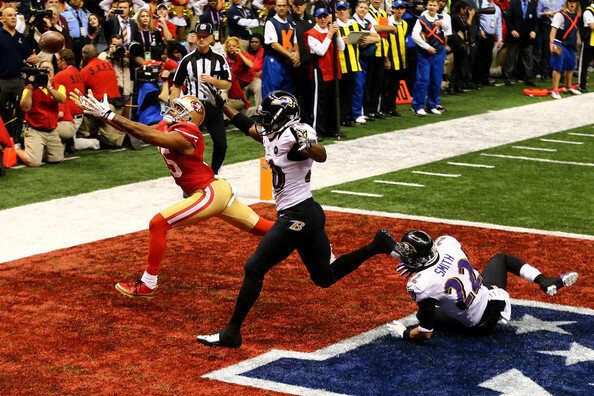 There are literally millions of fans today who will argue whether or not Michael Crabtree was held on a critical fourth down play in last night’s Super Bowl. The video tape seems to shows Baltimore cornerback Jimmy Smith draped all over Crabtree and, if one looks closely, you will see Smith holding onto Crabtree’s jersey. No penalty. 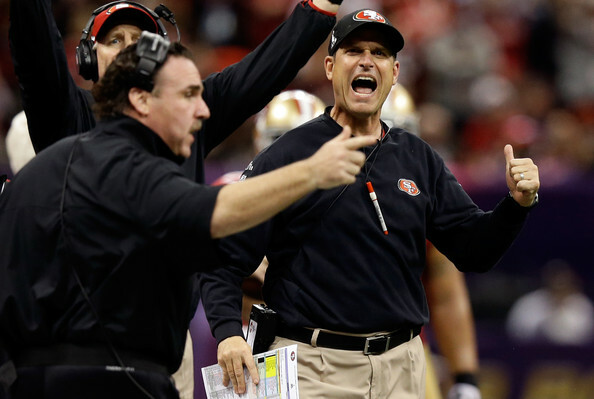 Forty-Niner coach Jim Harbaugh was understandably irate just after the play and later after the game. CBS’s Phil Simms noted that Crabtree was held beyond the five-yard limit where this is legal and then, after a rather discomforting silence, followed up with “it was a good no call.” Mike Pereira, the former NFL vice president of officiating tweeted: "Tough play that is really close both ways. Good job not calling anything,"
We ask a simply question: WTF? Smith is holding Crabtree. 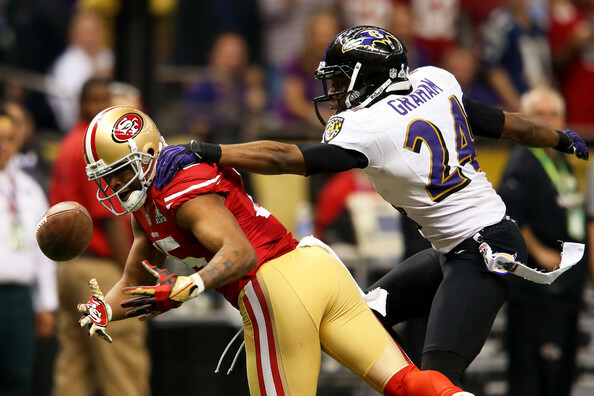 Crabtree is pushing back trying to get away because Smith is holding his jersey. It wasn’t a close play, but Perieira and Simms are buying into the conventional wisdom that players decide games late not the officials. That seems to infer not so subtly that it’s best to “let them play” outside the rules that are enforced the rest of the time. While we had no team of choice in this game or a wager (cash or friendly) on the outcome, as a football fan of almost 50 years, we can't help but point out that this makes NO SENSE whatsoever. Evidently, this is the conventional wisdom and accepted practice after years of brainwashing sports fans that this is the best way. You know, like the NRA saying, and we're paraphrasing here: “if you take my bazooka, someday you will take my hunting rifle.” They have said is so much for so long, a large portion of their constituents believes it no matter how illogical it may be? Has the late game "no call" achieved such acceptance regardless of it's merit? Do you think Jimmy Smith didn't know that Crabtree catching the go ahead touchdown would impact the “outcome of the game?” We aren't suggesting he did it on purpose, but he did it trying to stop his opponent from winning the game. Problem was (or, at least, should have been) that his actions are against the rules and a penalty should have been called. The NFL is based on rules. They have rules about what players wear, say and do. They enforce those rules with such gusto that sometimes their rulings are deemed punitive or subject to much commentary and, at times, legal action. They rejoice in their rules and in the enforcement of same. Until they don’t. Yet in the final minutes of games, the NFL’s guardians of the rules down on the field decide not to enforce the rules contrary to the position taken the other 98% of the time. Oddly enough, people are OK with this. Our point is it shouldn't be. Basically, the “no call” says it’s acceptable to not enforce the rules at a particular moment. How many times have you heard athletes, analysts, commentators and fans say “just be consistent.” If the ump is calling the high strike call it all game, and everybody is happy. Yet, that mentality goes out the window the last two minutes of football and basketball games. Why does a play that draws flag or a foul on the opening play, not draw the flag or foul on the last play? How is that "consistent?" 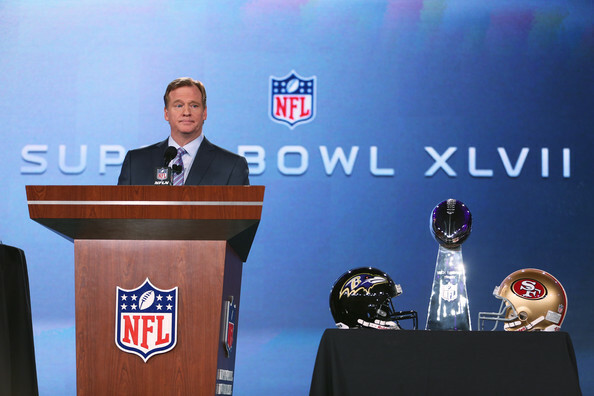 Now, you may shrug that off and say “well, that’s the culture of the NFL, let the players settle it” and there is “discretion” involved in the enforcement of all the rules that apply to an organized society. We get that, but we still think the three blind mice approach to the end of sporting events is just plain loco. If we endorse the “no call,” why not change the rules and let the players “determine the outcome” outside the rules the entire game? What sense does it make to allow players to cheat during an end game situation when the outcome is on the line while requiring them to play within the rules the rest of the game when the outcome is still on the line but not imminent? Why not change the rules to make various plays illegal “except in the last two minutes or any other time deemed crucial by the game officials?” That sounds ridiculous doesn’t it? But that is exactly what is happening now. For some reason, the “conventional wisdom” is that it is wrong for an official’s call to determine the outcome of the game. That said, it is therefore OK to cheat in the final minutes to determine the outcome of the game. There is no other way to look at it if you are being really honest about what is currently happening. 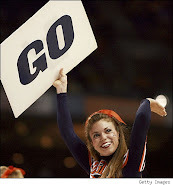 The same situation occurs in many ACC basketball games in the final minutes and advocates of the status quo offer up the same illogical reason for support. “That’s the way it’s always been” doesn’t seem to hold up when you apply some simple logic to this bizarre contradiction – we have rules, you must follow the rules except when you don’t have to follow the rules. Like it or not that is exactly what is happening. Then the NFL fines anybody who questions this hypocrisy, because…that’s a rule and the NFL enforces their rules. Sometimes.